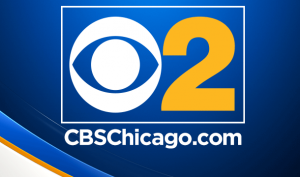 In a stunning move, CBS 2 (WBBM-TV) has parted ways with anchor Rob Johnson, who appeared on the station’s 5, 6, and 10 p.m. newscasts with Irika Sargent. The CBS-owned outlet also parted ways with morning anchor and reporter Marissa Bailey. As first reported by Robert Feder on Wednesday, the action comes as ratings for the station continues to decline and are reaching historic lows. During the February sweeps, CBS 2 finished fourth at 10 p.m. in households and the key 25-54 news demo, behind market leader ABC 7, NBC 5, and WGN. Ratings for the station’s newscasts at 5 and 6 are also weak. Hoping to reverse the ratings trend, CBS 2 announced Thursday the promotion of Brad Edwards to the 10 p.m. anchor chair alongside Sargent. Edwards is a member of WBBM-TV’s Investigative Unit. Johnson joined CBS 2 from rival ABC 7 in 2006, and became the station’s 10 p.m. news anchor in 2007 and later added 5 p.m. and 6 p.m. anchor duties. Bailey joined CBS 2 in 2012 as reporter/anchor and became morning co-anchor two years ago. Despite one of the strongest prime-time network lineups in the business, CBS 2 has not been able to take advantage, languishing in fourth or even fifth place in most local news time periods. If you’ve read this blog over the years, you know about CBS 2’s chronic ratings problems, marred by numerous mishaps and complete mismanagement by station execs. Taglines such as “CBS 2 blows it again” and “The Viewer Alienation Plan” had been used on this blog quite a bit. Feder noted there has been thirteen 10 p.m. anchor changes at CBS 2 since 2000, including two solo stints (Johnson and Carol Marin.) Among them included now-forgotten names such as Antonio Mora, Anne State, and Tracy Townsend. Not helping matters is indifference from CBS officials in New York, as the station division had been neglected under the watches of both Laurence Tisch and the now-departed Les Moonves, who treated the owned-and-operated division as nothing more than an afterthought – evidenced by the continued lack of newscasts at Detroit’s WWJ-TV…as in none. Ratings for newscasts for other CBS-owned stations have also struggled, although numbers for New York’s WCBS have improved in recent years. In an era where local news ratings are declining, viewers – especially younger audiences abandoning linear TV, CBS 2’s newscasts are going to have an even tougher job of attracting audiences than other stations and they are way behind the eight ball. You wonder what they’re getting themselves into: Nexstar CEO Perry Sook and President Tim Busch visited Tribune’s WGN-TV Wednesday morning at their Bradley Place headquarters on the North Side and received a warm welcome… in the only way the WGN Morning News team knew how. As you see, the welcome wagon included a guy dressed as Lincoln, the Blackhawks mascot, and Jaws, I think. Nexstar bought Tribune Media last year in a $6.4 billion deal, after a previous one with Sinclair Broadcasting fell though. Earlier this week, Tribune shareholders overwhelmingly approved the deal to merge with the Irving, Tex. media giant. If this were ol’ Boris and the boys…rest assured the welcome wagon wouldn’t have been rolled out, as Captain Chesapeake probably would’ve fired anyone welcoming them. No fun allowed, indeed. No Whammies! : ABC announced revivals of two game shows in the Fremantle library: Press Your Luck and Card Sharks to prime-time this summer, as first reported Wednesday by Vulture. The addition solidifies ABC summer game show lineup, filled with classic reboots of $100,000 Pyramid, Celebrity Family Feud, Match Game, To Tell The Truth, and The Gong Show. The revivals of these two shows no doubt spring from their success runs on digital subchannel Buzzr (owned by Fremantle) and GSN. No dates have been set or hosts have been named. Originally hosted by Jim Perry, Card Sharks premiered on NBC’s daytime lineup in 1978 and ran until 1981 and used the same musical score used by Double Dare (a 1970s CBS game show not related to Nickeldeon’s 1980s kids game show of the same name.) CBS rebooted the show in January 1986 with Bob Eubanks as host and ran until March 1989; a first-run syndicated version hosted by Bill Rafferty and distributed by The Television Program Source (one of Columbia Pictures TV’s numerous syndication company names during this period) aired during the 1986-87 season. An unsuccessful revival from Fremantle, hosted by Pat Bullard, lasted only a few months during the 2001-02 season. Debuting on September 19, 1983, Press Your Luck is a fast-paced game show hosted by Peter Tomarken and had players tackle a big board to win cash and prizes if they avoided the “Whammy”: the creature who would take your money and prizes away. During its CBS daytime run, Whammy was etched in pop-culture lore, with Whammies parodying icons such as Michael Jackson, Boy George, and Tina Turner. In June 1984, contestant Michael Larson set a then-all time record for most money won on a game show winning $110,237 doing so by memorizing the game board. The event spawned a Game Show Network (GSN) documentary in 2003, Big Bucks: The Press Your Luck Scandal. Luck was canceled by CBS on September 26, 1986, months after a disastrous time period change which saw it dumped into a 4 p.m. (ET) time slot, the very last program the network programmed before handing it back to affiliates (in Chicago, Luck aired at 11 a.m. and at noon on New York’s WCBS and KCBS in Los Angeles.) But the series has thrived in off-net, first in a syndicated package by Republic Pictures, then to USA network where it would run for nearly a decade. Rights later transferred to GSN, where it ran off and on until last year. 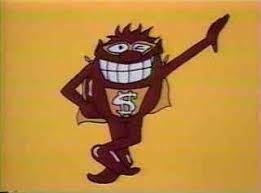 GSN also produced a revival series titled Whammy: The All-New Press Your Luck in 2002. Both Sharks and Luck aired as one-off specials on CBS’ Game Show Marathon in 2006, hosted by Ricki Lake. Going to another station for my news now!